We are very proud to be a small, reliable company as this means we can maintain that frendly, aproachable touch that you know you can trust. We specialise in many aspects of the double glazing door and window industry. Some of which involve maintenance, repairs and replacements of all makes and types of door locks and window locks. These can consist of multi-point locking systems, euro cylinders locks, oval cylinders locks and 3 or 5 lever mortice locks (anti-pic) among many. We can also upgrade your current lock cylinder to the new Anti-Snap euro cylinder lock (highly recommended). 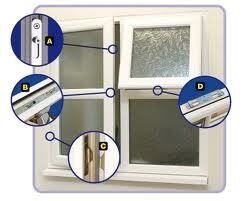 We repair all your double glazing problems or failures. We really are your one stop shop for everything door and window related. We know that when you ask us to do a job, you have made the right choice. So whoever you are, whatever the reason you need to speak with us, whatever the time of day or night, give us a call and we will be glad to talk over your concerns. We specialise in all types of glass services from boarding and repair, to shop front replacements. With many satisfied customers in the local area, we offer a first class service that is second to none. Our continuing success is due to our response to the customers needs quickly and effectively. As a professional company we aim to keep improving our services.